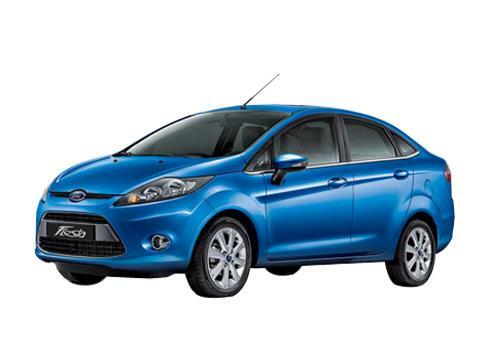 Ford Fiesta is simply the one of the best car offering by this American car manufacturer. Now making it even better is the recent addition of the 197 hp engine to the car making it close to sports car abilities. The Ford Fiesta ST as it is oftentimes called already has Aston Martin like styling and a performing engine of 197 hp has complemented the looks. Now the Fiesta hatchback is as powerful as the looks infer. The car has been so designed to give a direct fight to BMW Mini Cooper cars, Italian car Fiat Abarth and other cars in its segment. In US, the new Fiesta car has a mileage of 39 mpg which is whooping much larger for a car powered with a turbocharged engine. As per reports, the details about the car have been released just ahead of the Los Angeles Auto Show that is all set to begin on November 30. The LA Show is also believed to be platform where Ford will be launching this car. It is expected that the new looks and mileage will surely be attracting the young car buyers who were desperately seeking a new car that not only has power but also has high mileage. The 1.6 L turbo engine produces close to 200 hp power and the four cylinder engine will be producing enough power that is far more than what Mini Cooper (181 hp) and Chevrolet Sonic RS (138 hp) could produce. Some of the other features that will woo the first time car buyers will be the dual exhausts and the unique front appearance besides the 17 inch wheels. Back in India, the Fiesta is there only available in the sedan model and after the launch of the Fiesta ST; it is believed that Ford might think of a revamp of the model in other parts of the globe. When it is going to launch it in India and when will the Fiesta hatchback could make it to India is all a mystery. There are tow benefits to new Ford Fiesta ST buyers one is that they will feel a supercer experience in mid-size sedan and two is that mileage of the vehicle is decent in its segment.